At the Code Conference south of Los Angeles, Apple SVP of Operations Jeff Williams has shared a few interesting details pertaining to the company’s wearable, the Apple Watch. Right now, the device is heavily dependent on a connected iPhone for a number of functions, particularly the running of apps. 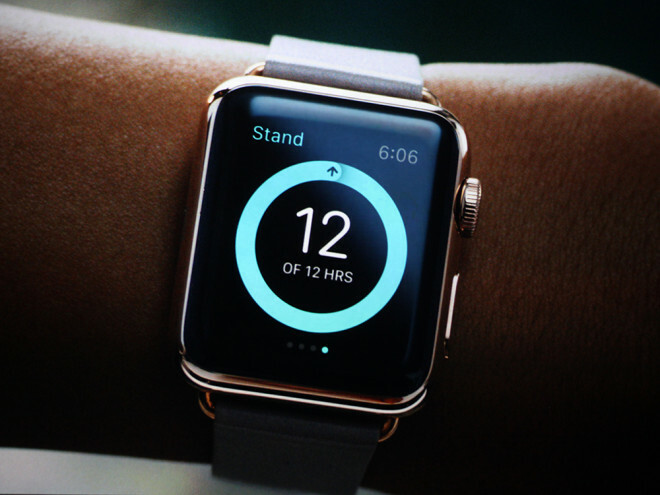 In fact, every third-party app released with Apple Watch compatibility runs through the iPhone. But native, “proper” Watch apps that run independently of the iPhone will be coming later this year, and Williams has revealed that the native SDK Preview will be unveiled at the Worldwide Developers Conference next month. The idea of apps residing on the Watch and functioning natively is one that doesn’t just boil down to vanity. I mean, the idea of apps running on the Watch untethered to the iPhone is, in itself, a desirable one, because having one device rely so heavily upon another is not practical. But besides the fact that you’ll be able to use your Watch a lot more without your iPhone always having to be close, apps should also speed up considerably once native, improving the all-round usability and general appeal of the Apple Watch. At the moment, Apple Watch apps are quite a bit slower than they could be, thanks to the mandatory middleman of the iPhone. Once native apps come about later this year, they’ll still mostly work in tandem with the iPhone, but will also be able to run even when the iPhone’s battery dies or the handset goes out of range. Apple will be rolling out a preview of the new SDK at WWDC, allowing devs to begin making native Watch apps from next month. With the ability to utilize the Watch’s sensors and Digital Crown, the native apps may offer a better representation of the device’s capabilities than we’ve seen so far, as developers take full advantage of the various hardware features nestled within the Watch’s housing. Despite its small display, native app-making will naturally encourage a flurry of native games as well, and given the obvious limitations compared with traditional iOS devices, it’ll be interesting to see what developers manage to dream up. With so little room to work with, it’ll be difficult for some of the graphically-intensive titles to see an Apple Watch port, although puzzlers like the much-loved yet much-loathed Candy Crush Saga could potentially adapt and even thrive on the Watch OS. We already knew that WWDC would commence from June 8th before today’s round of press invitations, since the event was announced in the middle of last month. Now, with the media catered to, all eyes will be on Moscone West as Apple makes the preparations, and with Williams also adding that he considers cars to be “the ultimate mobile device,” the software changes might just be the tip of the iceberg.